Hi! Thank you for visiting my page! 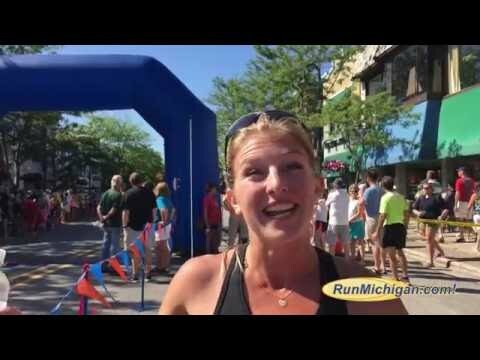 I just recently entered the professional running world, and I am loving every bit of it! This wonderful sport has a lot to offer. I am looking forward to sharing my experiences with you! Born and raised in Waterford, MI, Shannon attended Mott High School before going Blue with the Wolverines of the University of Michigan. While studying Sustainability and Business, Shannon was a six-time All-American, earning multiple all conference honors, three Big Ten DMR Championships, and individual Big Ten titles in both the 1500m and the mile. Shannon continues to train in Ann Arbor, and has gotten off to a fast start since her final season in the maize and blue. At the 2016 Olympic Trials, she earned a spot in the semi-finals of the 1500m, followed it up with a win at the Ryan Shay road mile in a blazing 4:27, then a month later at the HOKA One One Long Island Mile, Shannon put up a speedy 4:28 time to finish third. When not running, Shannon enjoys dancing, cross country skiing, snowboarding, tennis, and hot yoga, however, her passion for the sport of running remains paramount. She says, "I knew from a very young age that I wanted to someday become a professional runner. I feel so lucky to be where I am today. I am living the dream!" Through her running, Shannon hopes to inspire, encourage, and motivate as many people as she can, and though she will always want to be involved with the running community, she hopes to one day work for an organization that focuses on conservation and environmental stewardship.